I am pleased to be showing a group of new work in the annual exhibition of Leicester Society of Artists at New Walk Museum, Leicester. This group was previously shown in my solo exhibition Emotional Repair. The exhibition opens 9th November – 8th December. I believe this tray cloth was made by my paternal grandmother who died before I was born. I have recorded and preserved the stitching using printing techniques before unpicking the colourful embroidery and leaving just the traces of needle marks and thread shadow behind. By reworking my grandmother’s work I hope to give it a new life, a new meaning. The processes I use to make these pieces honour the invisible traces of textile inheritance my grandmother left me. These works are for sale from the museum during the exhibition. Traces 1 – Blind Embossing on paper £300 framed. Traces 2 – Monoprint on paper £350 framed. Traces 3 – Textile £500 framed. Criminal Quilts exhibition is now open at the University of Wolverhampton. I will be giving a free talk and tour of the exhibition on Weds 21st November at 5pm. The exhibition continues until 18th January 2019. Please check opening hours and Christmas / weekend closure dates here. I am also working on a symposium for artists, archives and academics to explore the crossing points between heritage collections and contemporary craft practice. This will take place on Friday 18th January at University of Wolverhampton and will be free to attend. We are also looking for presentations and activities to form part of the day, please get in touch if you would like to talk about this. There is more information below – bookings will open soon. For artists, museums, archives, academics, creative practitioners, makers, curators and others with an interest in how curiosity and things can create amazing projects and research. Curious Things Symposium aims to celebrate and explore the potential of cross-sector collaborations between artists, archives and academics. 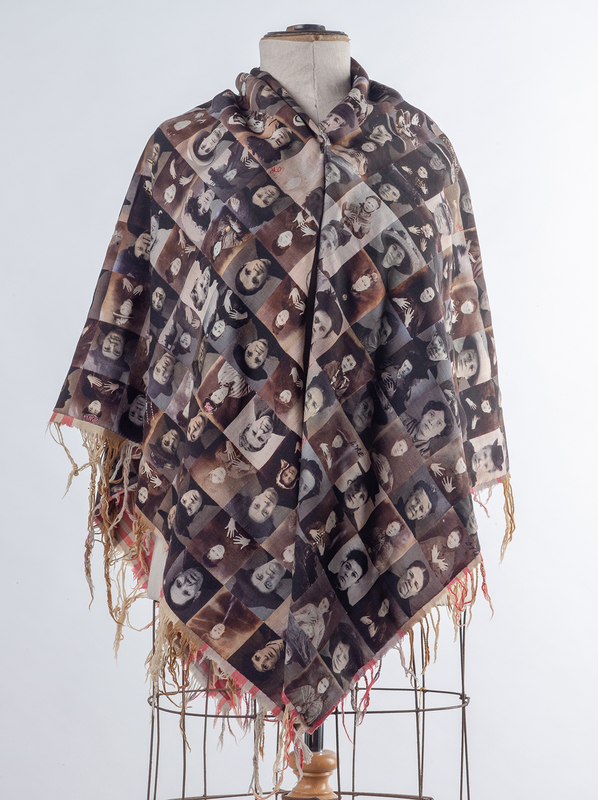 This event has grown from Ruth Singer’s Criminal Quilts project in which she has brought together archive research, volunteering, contemporary textile practice and academic partnerships to explore the stories of women photographed in Stafford Prison 1877-1916. A tour of the Criminal Quilts exhibition will be part of the programme for the day. The day includes presentations from artists, academics, students, museums and archives about projects bringing two or more disciplines together, discussion panels and group sessions to stimulate potential new collaborations and hands-on activities to create conversions and creativity. Artists are welcome to bring along display materials and work related to their projects and archives / museums to bring handling collections or other resources. Project films will also be shown and ample opportunity for networking and sharing of ideas over tea. I’m running a professional development day for artist and makers at Llantarnam Grange Art Centre on Saturday 20th October. 10am-3pm. £20. Join artist Ruth Singer to explore research-led craft making; about creating original work with a meaningful narrative behind it. Find out about Ruth’s research and development process; explore, develop and test your own ideas and take part in creative planning and group making activities. This workshop will also include ways of working with museums, heritage and archive collections. This session is designed for makers of all levels of practice who want to stretch their creative horizons and develop new ways of working. Ruth works predominantly in textiles but this session is suitable for all makers, whatever material or method you use. The workshop runs alongside Suffrage exhibition which includes a newly commissioned piece made for this exhibition. The workshop is just £20 for the whole day 10am-3pm and can be booked online here. Please note: We regret that due due to the nature of our building the artists workshops will be taking place in our first floor workshops rooms which do not have disabled access. Suffrage is a new exhibition at Llantarnam Grange Art Centre focusing on textile art and political expression to mark the Centenary of Women’s Suffrage. I am one of the exhibiting makers alongside Morwenna Catt, Eleanor Edwardes, Caren Garfen, Rozanne Hawklsey and Sue Shields. The exhibition opens Saturday 6th October 2018. My piece, Prison Apron, explores the prison sentences of suffragettes, expressed through stitch. Over the last year I have been reading accounts of suffragettes in prison for my project Criminal Quilts and considering the bravery of those women who knew their actions would inevitably lead to prison sentences. Over 1000 people, mostly women, were imprisoned for criminal activity related to suffrage campaigning in the early 20th century. You can also find out more about the exhibition in the online catalogue. I will be at the exhibition preview on Saturday 6th October in conversation with the curator and other artists. I am also running a professional development day for makers at the gallery on 20th October. The exhibition continues until 17th November 2018. Recently, I have become very interested in using data as a way of telling a story. For me, using data allows me to step back from the personal story and away from the more obvious interpretations to find a new route into the narrative I am exploring. I have chosen to work with prison sentence data to create this piece, looking at sentence records of women including the famous Pankhursts, Alice Hawkins from my home town of Leicester and Welsh women including Lady Rhondda and lesser-known Kate Evans. The apron is an antique piece, selected for its similarity to those seen in prison photographs and descriptions I have read in documents. Prison clothing was marked with painted-on arrows to show the items belonged to the government. Rather than paint on these arrows, I have hand stitched them on using threads in shades of grey. I have taken a series of prison sentences imposed upon suffragettes, ranging from 7 days to 9 months as the starting point for this work and created arrows using one stitch per day in prison. Each sentence is a different thread. One of the arrows is made up of 270 stitches of a single 9 month prison sentence, while the others are made up of numerous shorter sentences served by different women. The stitch is hand embroidered chain stitch, a symbolic choice, where each single stitch forms a connected chain which completes the whole. There are a total of almost 1000 individual stitches in this piece, representing the 1000 individuals sent to prison. Hand stitching, and the slow, careful work it involves, reflects the time spent in prison doing repetitive labour including needlework. Tacit – Made in Leicestershire contemporary craft exhibition at LCB Depot 17th-29th September. My first co-curated contemporary craft exhibition is now open! On Friday I installed Tacit – Made in Leicestershire exhibition at LCB Depot in Leicester. I am working for Creative Leicestershire as a consultant on the Made in Leicestershire brand development and putting together this exhibition and events programme is part of that process. It has been a delight to work with so many brilliant Leicestershire makers and to discover new ones selected by co-curator Jo Keogh. The exhibition is only up for a short time until 29th September with a couple of events next week for makers and for visitors to meet the makers. Exhibition details here along with studio shots of the makers’ work. Late evening preview event is on Facebook. Leicestershire-based professional artists and makers are invited to a Makers Gathering on Thursday 27th Sept hosted by me for Made in Leicestershire. This show includes my Tracery hanging and my Interlace collaboration work Halo. I’ve installed two exhibitions in the space of 10 days so my tool box is well-used and I’m all out of cup hooks and glass cleaner. In my previous career I curated and developed museum exhibitions and have worked on a lot of craft exhibitions too over the years. I really enjoy this kind of work, though having help with the ladders, drilling and lifting from LCB staff was great – I’ve had to go up scaffolding to install things before and it wasn’t my favourite thing. Tacit has been an interesting, if very rushed, project to work on. The exhibition concept was developed by LCB Depot in the summer and they asked me to select makers and sort out installation. Jo Keogh (one of the artists) also found a group of emerging makers with new work I didn’t know about so the exhibition is really varied. I really enjoy mixed material exhibitions more than single material – I love to see my work alongside ceramics, glass and metals rather than just textile. It gives all the work a new perspective. I have drastically cut down the amount of public workshops I run since last year and now only run workshops with galleries and museums alongside my exhibitions. This has given me more time to spend on my own work and the chance to write a new book and so much more. My car is feeling neglected as I’ve stopped driving thousands of miles a year too – all good stuff! The downside is that I feel bad that my loyal fans don’t get much chance to come to workshops with me any more, and I do miss the interaction with lovely people and seeing beautiful things being made. I will be doing a few workshops alongside my touring Criminal Quilts exhibition over the next year or so, including two in September and October at The Brewhouse Arts Centre, Burton-upon-Trent during the exhibition run. These are funded workshops so are very much cheaper than most workshops, so I expect they will book up fast! I am also giving a talk towards the end of the exhibition run. Try out embroidering onto digital prints and screen prints of archive photos from Stafford Prison. Using fabrics printed with images from the project, you will learn some new embroidery stitches to embellish and transform a black and white photograph into something completely new. Some hand embroidery experience necessary. Working with Criminal Quilts artist Ruth Singer, you will have the chance to try some exciting new ways of using paper-piecing in patchwork including working with embroidered paper, collage, digitally-printed cloth and vintage textiles. Hand sewing skills required. Join artist and researcher Ruth Singer to find out more about the stories of women convicted of crimes and imprisoned in Stafford Gaol 1877-1916. Over the last 12 months, Ruth Singer and a team of volunteers, have been researching the stories of over 500 women photographed on release from the prison, and the social history surrounding their lives. In this talk Ruth will also pick out a couple of local stories of women from the Burton area. Roll out the red carpet for the premiere of my new Criminal Quilts film! This will also be shown at Festival of Quilts and most other exhibitions, technology-permitting. Made by the lovely R & A Collaborations, filmed at Staffordshire Record Office and University of Wolverhampton, with thanks to Jan, Jan, Jan and Ann. Yes, I got all three Jans on one film!